NFC specialist GoToTags has released a software and reel-to-reel hardware solution that enables large volumes of NFC tags to be encoded at high speed. 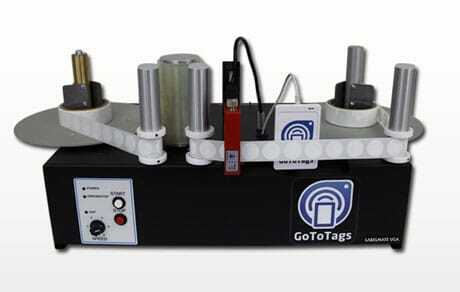 The GoToTags NFC Encoder software supports a wide array of NFC readers and chip types, says the company, while the Reel-to-Reel NFC Encoder is an optional addition to the software that is designed to automate and speed up the process of tag encoding. The software can be downloaded from gototags.com and is billed based on usage. A free trial allows customers to get started at no cost. The Reel-Reel NFC Encoder is priced at US$10,000 and can be purchased from the company’s Buynfctags.com website. “We have been providing end-to-end NFC solutions to Fortune 1000 customers worldwide for the past two years and have engineered our NFC encoding software and hardware to meet the demanding needs of those projects,” says GoToTags CEO Craig Tadlock. “We’ve been working with GoToTags for several years and have been very impressed with their ability to develop innovative and technical NFC solutions for top global brands,” adds Smartrac’s Corey Wilson.